Rev. Lura N. Groen is a pastor with a love for preaching the Good News of God’s inclusive love, and a resulting passion for social justice. She is a native if Cumberland MD, and a member of Luther Place Memorial Church in Washington DC. Lura is the pastor of Grace Evangelical Lutheran Church in Houston, TX. Pastor Lura attended St. John’s College in Annapolis MD, studying the Great Books Program. Prior to seminary, Pastor Lura was a two-year member of Lutheran Volunteer Corps, serving as a case manager to homeless people in Baltimore MD and Washington DC. Lura continued her social service work as an employment coach before attending seminary at the Lutheran Theological Seminary at Philadelphia. Pastor Lura finds God by embracing community life. While attending LTSP, Lura formed and led an LGBTQ support group on campus, served on Community Council, participated in the Inter-Racial Dialogue Group, was a Member of the School of the Americas Planning Committee, (to educate the seminary about our country’s foreign policy towards Latin America, and attend the protest in Ft. Benning Georgia), and published numerous reflections in the student newspaper. During the 2004-2005 Academic year, she served as Student Body President, presiding over the merger of two student bodies into one. Her awards included the Winters Scholarship for academic excellence and potential for ministry, the Traci L. Maul Award for leadership potential for ministry, active contribution to seminary life, and academic strength. Atonement-Asbury Park Preaching Award, and the Deans List. Pastor Lura completed her internship at Trinity Lutheran Church in Philadelphia, PA. She loves working with small urban congregations who are discerning ways to embrace their communities, and to become more economically sustainable. Pastor Lura is a proud aunt and godparent, as well as sister and daughter. She is exceedingly grateful to her family for their amazing support throughout her life, as well as to the communities that have nurtured her in faith: St John’s Lutheran Church in Cumberland MD, Yeager Memorial Lutheran Church in Rainsburg, PA, Mar-Lu-Ridge Conference and Educational Center, St. John’s College, Luther Place Memorial Church, Lutheran Volunteer Corps, the Lutheran Theological Seminary at Philadelphia, Trinity Lutheran Church of Germantown, and Christ Lutheran Church of LaVale MD. Rev. 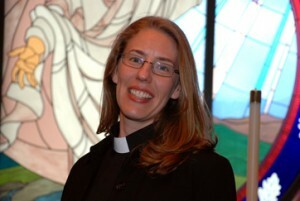 Lura Groen was received onto the ELCA clergy roster in 2010.